Toyota to Unveil All-New Tacoma Pickup in Detroit This Jan.
You are here: Home / Automotive News / Toyota to Unveil All-New Tacoma Pickup in Detroit This Jan.
Before GM jumped back in to the market with its Chevrolet Colorado and GMC Sierra pickup trucks, Toyota controlled 68 percent of the small truck market to Nissan’s 32 percent. As the only two players left in the segment, the two Japanese manufacturers were left to duke it out. Toyota’s dominance has been without dispute these past few years, but that is beginning to change with the return of the GM trucks this fall. Indeed, in November Chevrolet sold 2,366 Colorados and GMC added 854 Canyons for 3,220 units sold. Those numbers are ahead of what GM had expected at this point in the game. Certainly, with 13,018 Tacomas sold and 6,332 copies of the Nissan Frontier delivered in November, GM has much more room to grow. Toyota isn’t about to sit on its laurels although some may insist that it has been. It has been a full decade since a new Tacoma hit the market, a long interval between updates. On Thursday, Robert S. Carter, Toyota Motor Sales USA Inc. senior vice president of automotive operations, said that an all-new Tacoma pickup truck will be revealed at the North American International Auto Show in Detroit this Jan. Carter did not offer details about the model according to the Detroit News. The Tacoma is important to Toyota as the manufacturer claims a vast and loyal following. With the Ford Ranger and Dodge Dakota no longer a factor, Toyota has an even broader customer base from which to gain new owners. Notably, Tacoma easily outsells Toyota’s own full-size pickup truck, the Tundra. 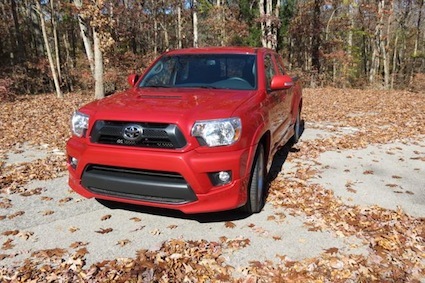 Through Nov., 140,757 Tacomas have been delivered to just 107,974 for the Toyota Tundra. 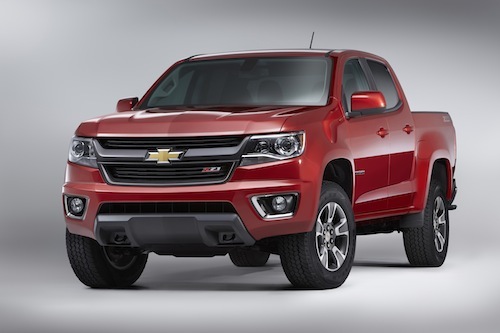 This Chevrolet Colorado is the newest pickup truck on the market. What can we expect with the new Toyota Tacoma? Given that Toyota is routinely mum about most product releases anything said here is merely conjecture. Because we’re all about the latest auto trends, you expect us to at least serve up something of substance. We’ll try our best here. 1. New transmissions. Toyota used to be ahead of the engineering curve on a lot of things, but when it comes to transmissions, they’ve trailed. The Tacoma comes equipped with a five-speed manual transmission or a four-speed automatic transmission. Both will go away in favor of six-speed manual and automatic transmission, bringing Toyota into the 21st century with its transmissions. 2. Engine changes, maybe not. Toyota has had much success with its current engines: a 4.0-liter V-6 and a 2.7-liter inline four. Likely, we’ll see the same engines return, fan favorites at that. The transmissions have been the biggest drag, not on sales, rather on efficiency. If the same engines return we could see a generational update such as a new combustion system, perhaps even cylinder deactivation for the V-6 when operating on the highway. Expect improvements in torque, a reduction in emissions and a net gain in fuel economy with the new trucks. 3. Regular cab will not return. The Toyota Tacoma and its competitors have not only grown from small to midsize models, but customers are looking for larger interiors with these models too. Just as the Colorado no longer offers a regular cab, Toyota has already done likewise by dropping the regular cab. Expect the 2016 model to continue to offer extended and crew cabs only, what customers favor when shopping for a smaller pickup truck these days. Don’t expect the XRunner to return, however. 4. Sundry things. Expect that the next generation Tacoma will incorporate mostly evolutionary, rather than evolutionary changes — aside from the transmissions. Among the assorted changes we’ll likely see is greater use of high strength steels to lighten the load. As Ford moves toward aluminum, Toyota will stick with steel, but lighter variations at that. Underneath, a new exhaust system seems likely; modifications to the suspension system are also possible. Inside, expect a thoroughly modern center stack. New seats, a fresh instrument panel and better storage seem likely. 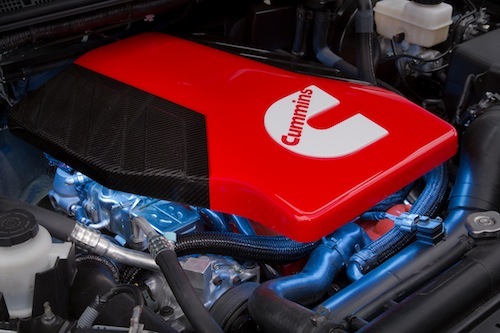 Nissan has a small block Cummins diesel in mind for the Frontier. It seems that everyone has an opinion on what they would like to see with the next generation Tacoma. Spy shots and analyst projections has this truck occupying the same footprint as before. Thus, the biggest changes may be mostly evolutionary, not revolutionary. As far as a hoped for diesel engine goes, don’t expect one anytime soon. Sure, GM will offer one beginning in 2015 with the Chevrolet Colorado and GMC Canyon, but Toyota will likely take a pass, at least for now. Diesel demand is likely to remain low and with gas prices dropping to the lowest levels we have seen in five years, holding off on one for at least the next two years seems like the approach Toyota is destined to take. Auto Trends will share more information about the “Taco” as it becomes known. As for its delivery time expect it to arrive in Fall 2015 as a 2016 model. Photos courtesy of the respective manufacturer.